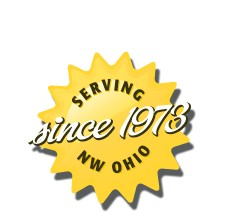 Rutter & Dudley Asphalt / Rentals has been offering asphalt paving, seal coating, and crack filling services to Northwest Ohio area communities and Bowling Green, OH since 1973. With over 42 years of experience, we take pride in providing quality workmanship and excellent customer service for the lifespan of our customers asphalt surface area. Our asphalt crew provides one of the thickest blacktops in the area to insure the quality and durability of the pavement meets OSHA standards. Owners Chris Rutter and Dave Dudley make it a priority to personally supervise every aspect of the ongoing paving and maintenance projects. We know that the only measure of our success is the satisfaction of our customers. We are licensed, bonded and insured. 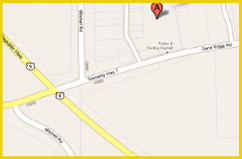 Our friendly and professional staff is here to answer any questions you may have about our company or our services. Whatever your asphalt construction/maintenance needs, we can provide it to you at a reasonable price. Visit our rental properties online, contact management (S. Smith Contracting) at 419-352-8917, or email sjsmith@dacor.net to inquire about our available rentals. Contact Rutter and Dudley Asphalt today at 419-352-4456 or email asphalt@rutterdudley.com to schedule your asphalt service, inquire about available rental properties or in the winter months, call for snow and ice removal!